This was the fourth book I’d read in 2018 where a family grieves over a deceased parent. Here we go again is all I could think, but INKLING approaches a tough issue in a very different and creative way. In the beginning, young Ethan Rylance finds a ink blot loose in his room. The blot slipped off a drawing board in his Dad’s studio—a graphic artist and storyteller who has been in a a slump since his wife died. The blot appears dangerous at first, but Ethan soon finds out it is quite friendly and names the blob, Inkling. His new friend feeds off the print in books or magazines, erasing whatever he spreads across (at least everyone assumes Inkling is a he). Inkling can also change into any shape or word to communicate. The secret doesn’t last as friends and family get a look at the creature. Some will use it for their own gain while Inkling knows his real purpose is to somehow heal this family. Readers will get attached to this sweet and often amusing tale. The fantasy tugs your heart and provides a smile at a time when most needed. The pages of the book are ink blotted giving you the sense of truly being in the story. Ethan’s younger sister has Down’s Syndrome, but it is never portrayed as a disability. You just have to take more time with Sarah. Rickman, a cranky old cat who provides humor and serves as a feline menace to Inkling. A scene at the end hints at a sequel. I would welcome more time with this family. The story is fast paced with a thrilling conclusion. It will for sure become a favorite for teachers, parents, and kids. It turned out to be quite a long story, really a short novel, and I rewrote it the next summer. We had a family friend who knew Roald Dahl – one of my favourite authors – and this friend offered to show Dahl my story. I was paralysed with excitement. I never heard back from Roald Dahl directly, but he read my story, and liked it enough to pass on to his own literary agent. I got a letter from them, saying they wanted to take me on, and try to sell my story. And they did. 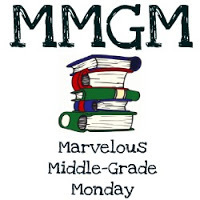 This entry was posted in Middle Grade Book Reviews and tagged INKLING, Kenneth Oppel, Marvelous Middle Grade Monday, Middle Grade Book Reviews, Parent death. Bookmark the permalink. What an interesting premise! I’d never think to write a book about an ink blot. Glad you enjoyed it. What a clever story and a very different way to deal with grief. Love a differently abled sister. This book is getting a lot of buzz. You convinced me to check it out! This sounds great. I’m going to order a copy tonight. I tried to get this one when it came up for review, but someone beat me to it! Dang! I will have to get a copy. It sounds great. This sounds like an absolute gem! Oh my gosh, what a creative idea! Especially for dealing with such a serious issue. I’ll defiitely keep an eye out for this at the library. I love how they didn’t portray his sister as having a disability, that’s truly amazing. Plus, the inkblots on the pages! Thanks for sharing this innovative title with us for MMGM, Greg. I love your Point #2 in your ‘Five Things To Like About Inkling’ section above. I believe children learn compassion and kindness from reading about characters who are exhibiting those behaviors in their on-the-page lives.